The Google map on the following page shows the Santa Cruz Mountains AVA, its sub-regions (in yellow print) and major Pinot Noir vineyards. 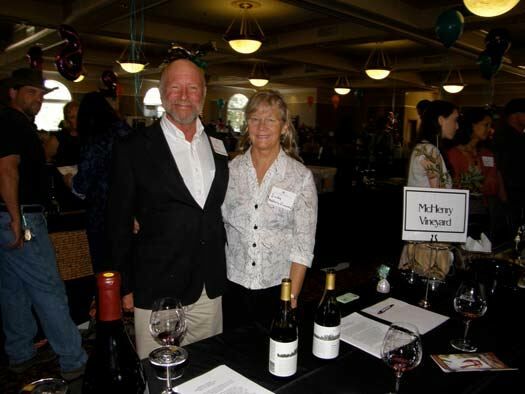 This map was developed by Mary Lindsay, President of the Viticulture Association of the Santa Cruz Mountains and Prudy Foxx, a well-known viticulturist in the Santa Cruz Mountains who manages over 600 hundred acres of vineyards. The vineyards in the Santa Cruz Mountains are small and isolated creating a formula for uniqueness in the wines. 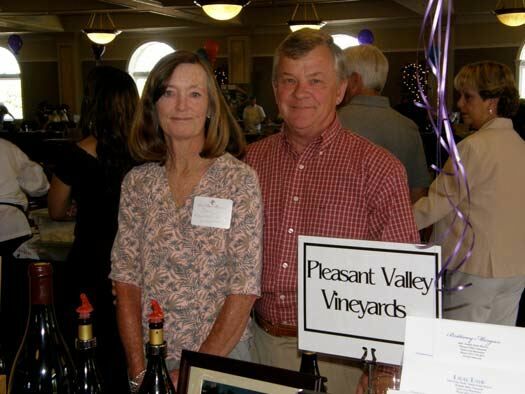 The highlight of Pinot Paradise is the Grand Cruz Tasting held at the Villa Regusa in Campbell California. 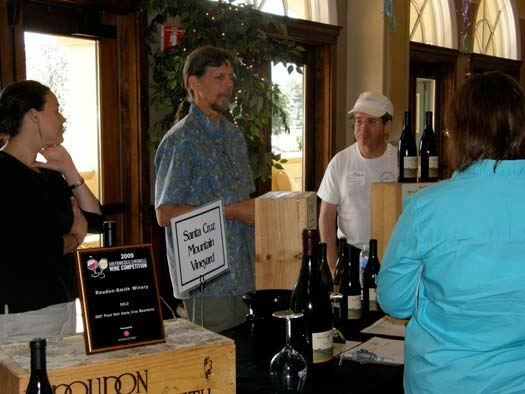 Nearly all the producers of Pinot Noir in the Santa Cruz Mountains are present proudly pouring their latest releases accompanied by gourmet artisan foods and an auction of 3.0 liter bottlings from each of the participants. 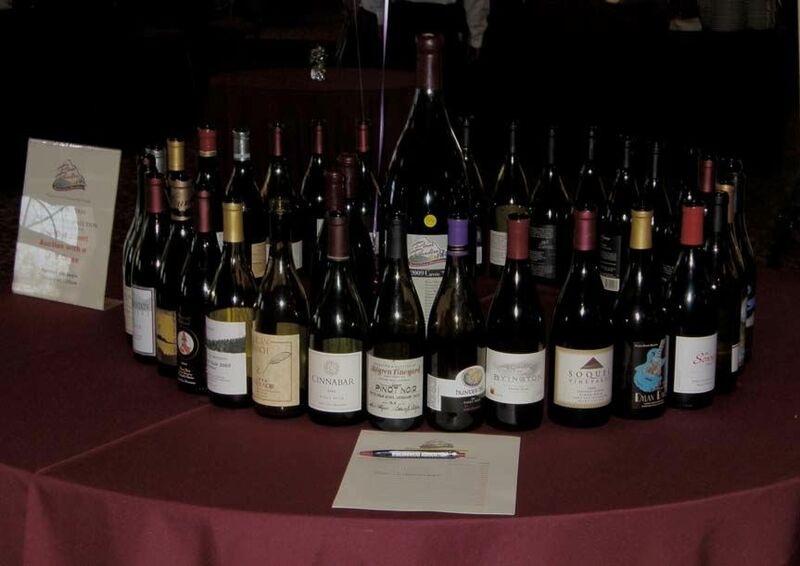 In addition, a single Jeroboam containing wine from all the participating wineries is auctioned (photos below). 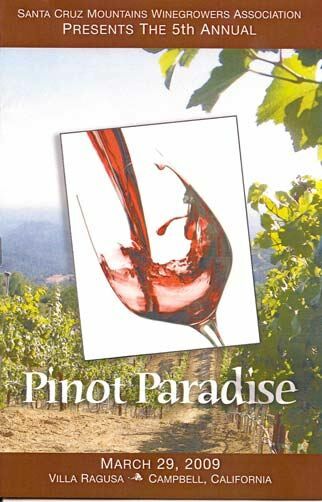 Pinot Paradise is a more intimate event than many, allowing for quality time with the winemakers and winegrowers in attendance. The Santa Cruz Mountains is home to over 70 wineries, with over 40 producing Pinot Noir. 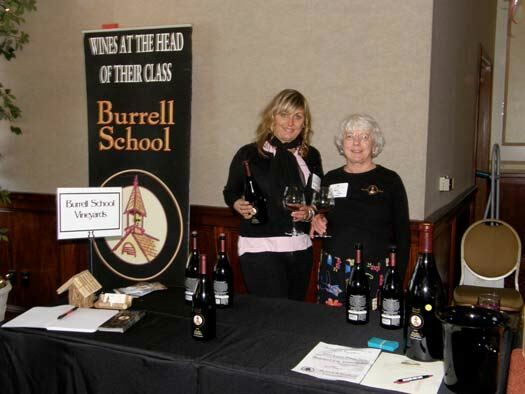 I sampled a number of the 70 Pinot Noirs poured at this event and I have listed below my favorites below. 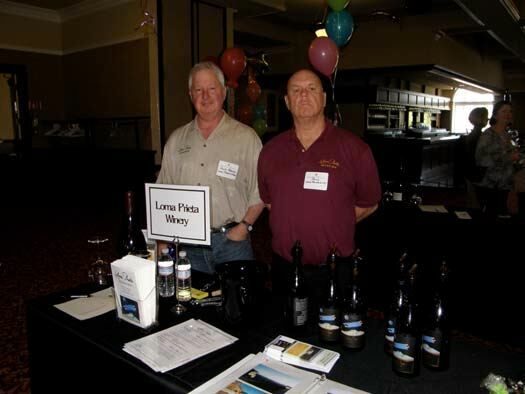 To locate the wines, consult the winery’s websites or the Santa Cruz Mountains Winegrower’s Association website at www.scmwa.com. 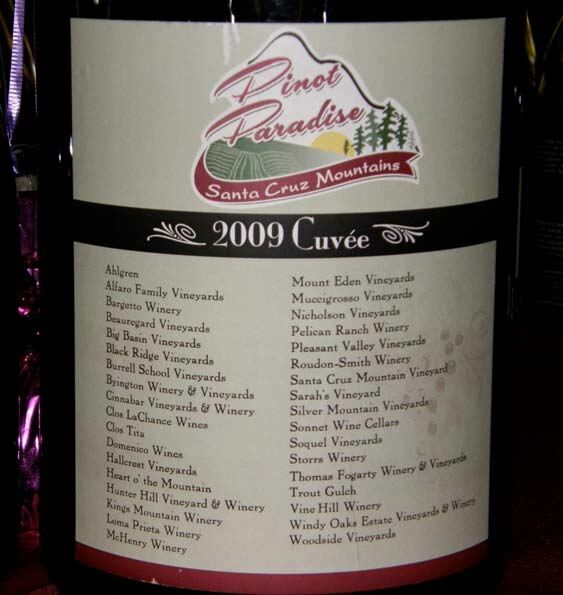 There is also a Santa Cruz Mountains Pinot Only Wine Club worth investigating (www.santacruzwineclub.com). Vinocruz is a wine retail store in downtown Santa Cruz which stocks many of the small production Pinot Noirs produced in the Santa Cruz Mountains (www.vinocruz.com). 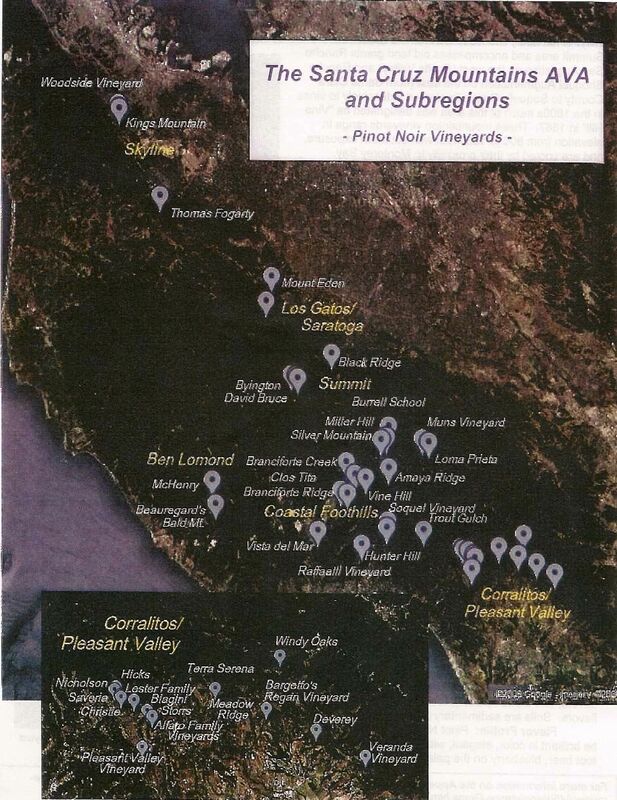 As you can see from this list, almost half of the outstanding wines came from the Corralitos/Pleasant Valley subregion. This area is at the southernmost end of the appellation just north of Watsonville. The vineyards are at lower elevations (typically 400 to 800 feet above sea level) and are close to the Pacific Ocean. Early morning fog is common in the summers followed by warm afternoons and evenings and cool night times. The resulting large daily temperature variation during the growing season leads to slow ripening and an extended growing season with vineyards in this sub-region usually the last in the appellation to be harvested. Soils here are well-drained sedimentary type (sandy, clay, silt and loam). Most of the vineyards are relatively young and planted to Dijon clones. The Pinot Noirs from this sub-region tend to feature dark red fruits with added notes of root beer, blueberry and spice on the palate. 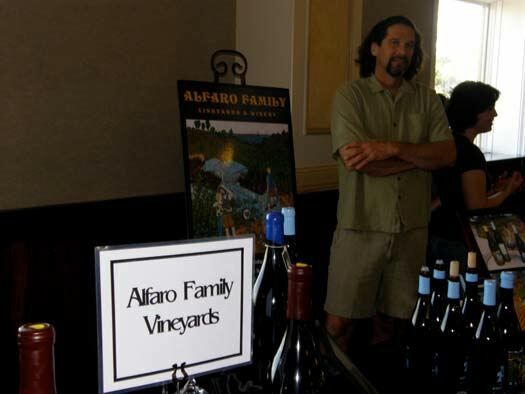 Like Pinot Noirs from the Santa Cruz Mountains generally, the wines have impressive minerality and inviting acidity.